Handing your notice in can be a daunting prospect. With this in mind, we’ve put together a list of top tips to help candidates navigate the resignation process. Ahead of handing in your letting of resignation, give yourself another chance to think things through. Write a list of pros and cons about leaving, weigh them up and make sure you are confident with your decision. After weighing up the pros and cons, if you decide it’s time for a career change then you need to draft your letter of resignation and speak to your boss. Whilst this isn’t a particularly appealing prospect, it is so important that you clearly explain why you are leaving without burning any bridges. Many people find this part of the process awkward, but your boss will respect your honesty and most likely be encouraging of your career move provided you handle it professionally. Check your contract of employment to determine what your notice period is. 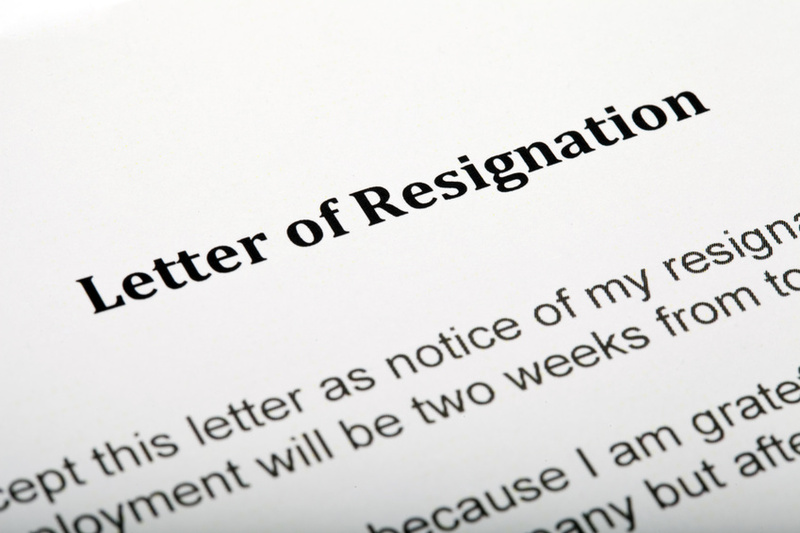 Working your notice period demonstrates your commitment to a company and your professionalism. Both of which are key attributes for potential employers. Where possible and appropriate you should assist your company in finding and supporting your replacement. Whether it’s assisting the recruitment of a replacement, doing a handover or making a newbie to the team feel comfortable, remember that you are still part of the same organisation and should be ready to help out. Sometimes your reasons for leaving a company are not always positive and it can be hard to stay motivated when you know your employment there has an expiry date. However, it is important that you continue to carry out your role to the best of your ability. Sometimes it can be hard not to talk negatively about previous employment experience which can often encourage career changes. You should always discuss your career decisions in a positive manner and let your future employer know why you feel you would benefit from a new position, rather than describing all the bad reasons that caused you to leave your last role. This demonstrates your loyalty to a company and ability to remain positive even in challenging situations. Contact us today on 01977 269069 to find out how we can assist you in your next career move or introduce new talent to your team.